We have been joined by English designer Sam Whitcomb, just for a couple of months until his Japanese working-holiday visa runs out. Sam is from a very different background from most us at Envision, having grown up in various countries around Asia as well as the UK before attending Imperial College in London and graduating in Mechanical Engineering in 2011. While he was studying engineering, he had the chance to take product design courses in collaboration with the Royal College of Art, which is just across the road and round the corner from Imperial College. After graduation he moved to Singapore and spent two years at the local offshoot of Dutch design consultancy We Are Perspective. I might have one or two details wrong here, but I think he then decided he wanted to find out more about Japanese hospital food, got the Japanese working-holiday visa and a job in a Hokkaido ski resort. That plan came to fruition when he smashed his right femur in a skiing accident, leading to a 10-day stay in hospital and the addition of a large piece of titanium to his leg. 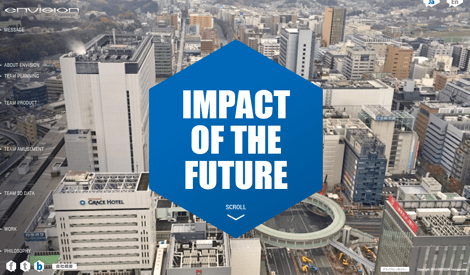 He soon went back to work in Hokkaido before getting in touch with us to see if he could spend the last period of his visa working inside Envision. Sam is working together with the designers and CAD modellers in the Envision design studio. 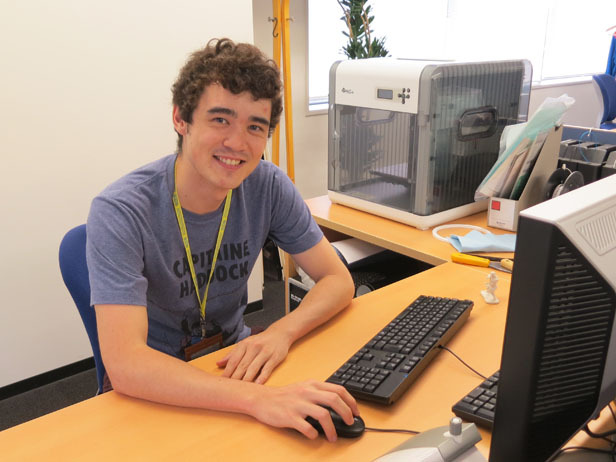 We wanted to make the most of his design skills, engineering background and the resources here at Envision, so he is working on a project to design new products that make the most of the unique properties of 3D printing. 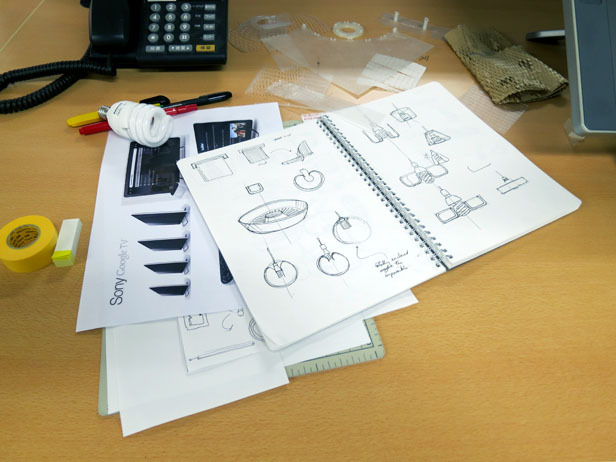 Best of all, we are hoping it could lead to ideas for things that can only be made with 3D printing. If you know a little about 3D printers, you’ll see that Sam is working with our low-resolution XYZprinting da Vinci machine, which makes his task even more of a challenge. On the other hand, if he can design things that work on the da Vinci, they’re bound to work on almost any other printer. I have asked him to blog about his work and there will be a lot of trial and error, so please don’t expect too much too soon.